The subcutaneous fat is spread evenly across the abdomen so It is difficult to see satisfactory results with a mini-fat upper abdomen Liposuction. This is why liposuction is done on the entire abdomen. 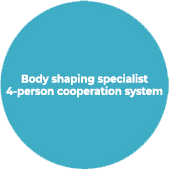 The whole abdomen includes belly, belly, side, love handle, brazz line and the entire back and sides of the abdomen will be treated. 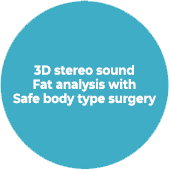 Procedures range is extensively the skin and subcutaneous fat layer of the shrink side effects. It is a procedure that can rise strongly and give greater synergy effect. There are no exposed wounds. Abdominal liposuction surgery used incision the navel and the tailbone end. Fast and outside, exposed to wounds because there is no surgery leaving no trace. Get up and get better results than inhaled fat. 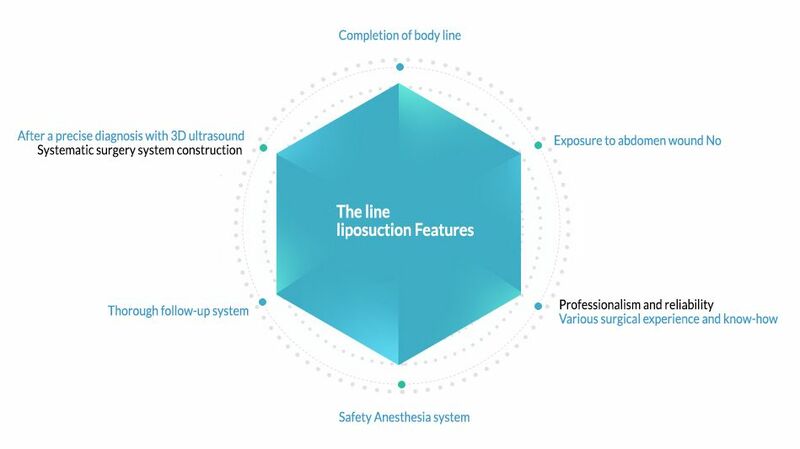 After liposuction there will be no exposed scars. The doctors at line plastic surgery uses special techniques of incision which helps a lot with the scar related issues. With the use of secret scar system the doctors manage to make less visible incision and surgery. During abdominal liposuction incisions are made for abdomen, below the stomach, flanks, belly, inner side of Abdomen, back, flanks, tail spine which allows less visible scarring when the patient breath. So after the surgery even if you wear a bikini, you can rest assured that all the scratches are covered. With rapid cohesion and recovery after surgery Traces of the wound disappear quickly. Daily life is possible from the day after the procedure. 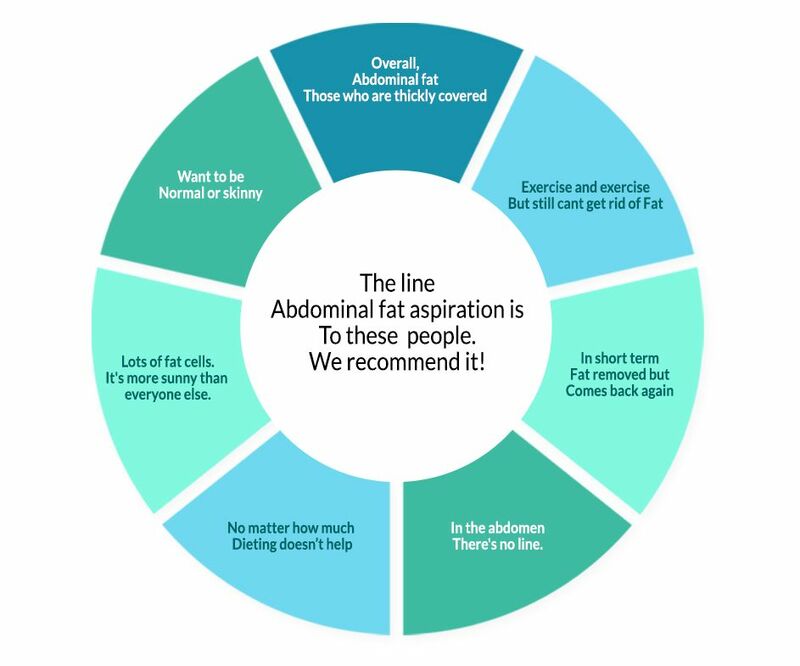 The abdomen muscle mass and subcutaneous fat the amount of fat cells, too many parts. The abdomen is large, with a wide distribution to the left, as well as the left and right sides. The average surgery time is about 90 minutes. 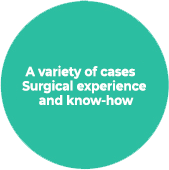 Surgery experience and knowhow to support dedicated medical staff directly to your home. 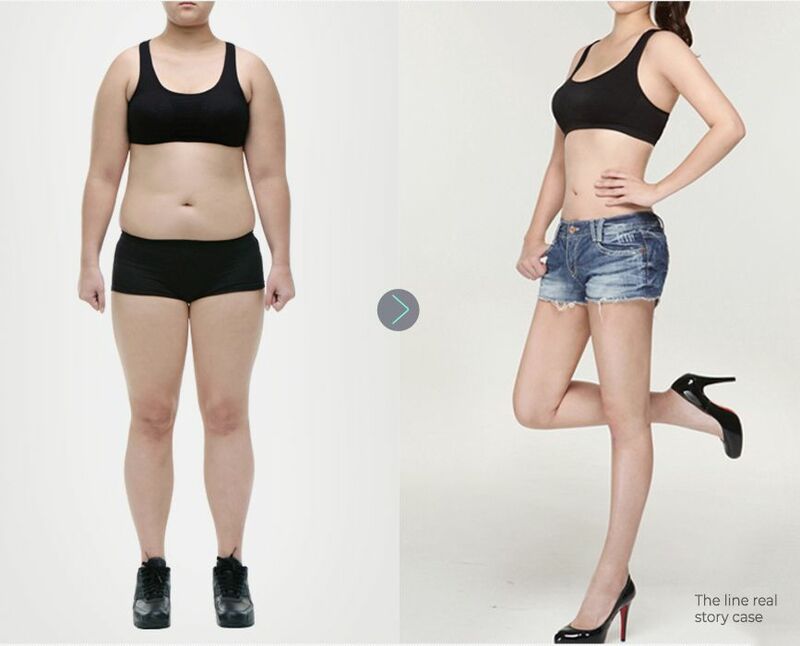 Abdominal liposuction is the most popular area of liposuction surgery korea , and the most satisfied area by patients at the same time. In case that the subcutaneous fat widely spreads in the abdomen, mini liposuction cannot ensure a satisfactory result. This time the whole abdomen liposuction procedure is performed. The whole abdomen referred to as upper and lower belly, flanks, love handle, bra line, and the entire sides of back, etc. 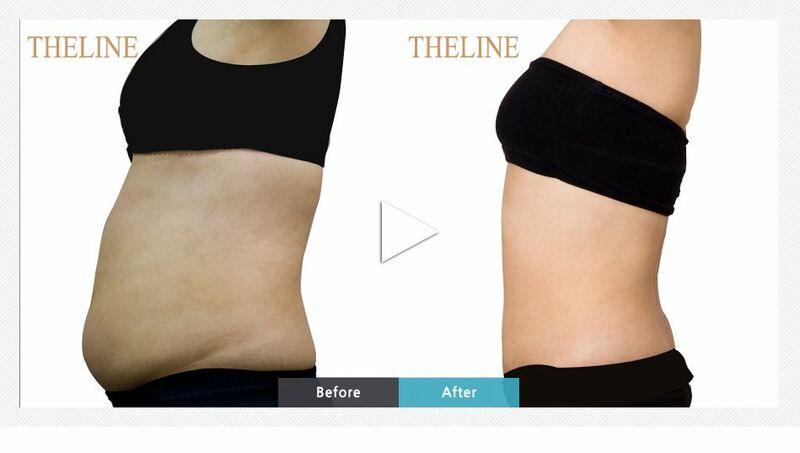 The more extensive skin is operated, the stronger synergy effect comes out by the strong contraction between the skin and subcutaneous fat layer.